Betty Sue Brown, age 87, of Aurora, Missouri, passed away at 5:30 a.m. on Wednesday, January 23, 2019, at the Aurora Nursing Center. She was born July 5, 1931, in Hurley, Missouri, the daughter of Fred and Susie (Slaughter) Young. 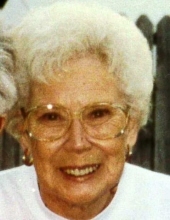 Betty attended school in Hurley, Missouri and worked in the Dietary department as a cook for the Ozarks Methodist Manor and the Aurora Nursing Center. Betty is survived by her daughter, Judy Reed and her husband, Scott, of Tucson, Arizona; two sons, William Brown and his wife, Patti, of Aurora and Richard Brown of Jasper, Missouri; one granddaughter, Rhiannon Brown of Florida and one great-grandson, Benny Brown. Her parents, Fred and Susie and five sisters and three brothers, preceded her in death. A private family burial will be held at the Wright Cemetery in Hurley at a later date. Arrangements are under the direction of the Crafton-Cantrell Funeral Home in Aurora. To send flowers or a remembrance gift to the family of Betty Sue Brown, please visit our Tribute Store. "Email Address" would like to share the life celebration of Betty Sue Brown. Click on the "link" to go to share a favorite memory or leave a condolence message for the family.